Network Against Islamophobia | Jews Say No: Not In Our Name! 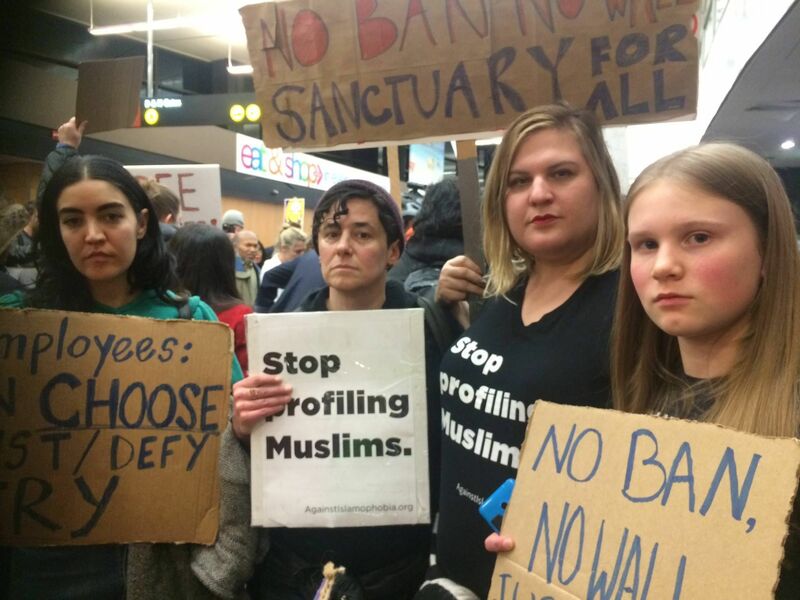 Muslim communities and those being targeted by the relentless, ongoing Islamophobic, racist, and xenophobic assaults coming from so many directions are organizing with great integrity, strength, and intention. We know these assaults are not new, but the moment calls for all sorts of resistance. Community-based groups and coalitions like DC Justice for Muslims, housed at the Washington Peace Center, in Washington, DC and Desis Rising Up & Moving (DRUM) in NYC (and many more) are engaging in powerful organizing rooted in years of deep work within their communities. Those of us who are partners in this work and committed to not remaining silent or complicit are joining efforts that require both immediate responses and long-term planning. Social justice groups, faith communities, and other community members are attending community meetings, joining protests, and participating in actions led by Muslim and other impacted groups. In addition to participating in day-to-day actions, we know that our own reflection, analysis, and deeper understanding can help strengthen our work. Many of us who are not being targeted can too easily carry Islamophobic assumptions propagated by the media, by our own communities, and in the public sphere. 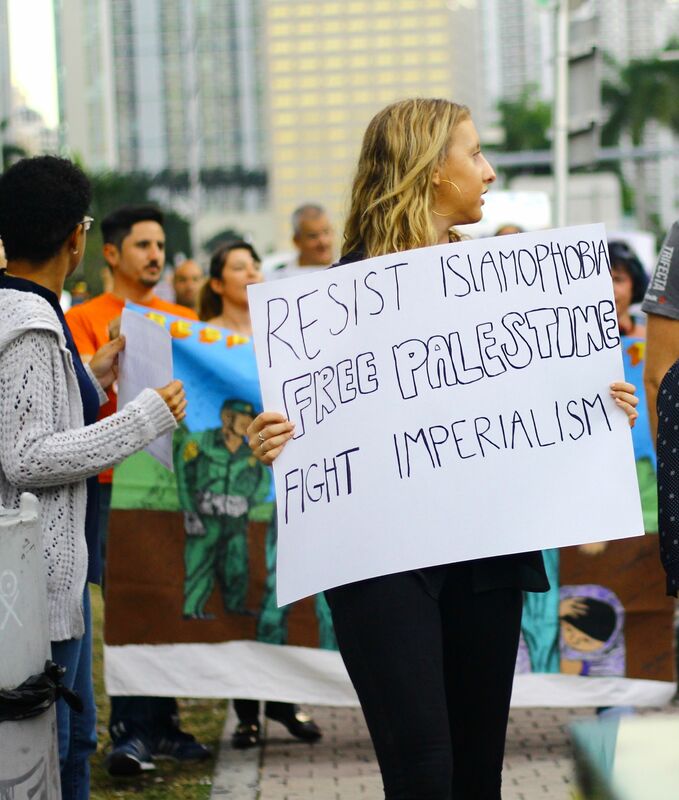 There are several issues that are integral to our discussions, analysis, and organizing: for example, the connections among Islamophobia within the U.S., the “war on terror” and U.S. imperialism, and the ways in which Islamophobia and Israel politics intersect. Those of us working with the Network Against Islamophobia (NAI), a project of Jewish Voice for Peace (JVP) have spent the past few years creating curricula and resources on Challenging Islamophobia and Racism. These materials are designed to help strengthen our work within our communities and to enable us to be effective, principled, creative, and thoughtful partners in the broader movement for justice. The curricula and work result from deep relationships, organizing, and learning with many different communities and individuals. NAI is deeply appreciative of the work and inspiration of our partners from Muslim and other communities targeted by Islamophobia and racism, and we honor their leadership and vision. Visit the Network Against Islamophobia to download the curricula and resources.